If you balance any type of rotating equipment or perform vibration analysis, these products are for you. The Balancing Accessory Starter Kit contains a number of common balance correction weights so you have the proper weight for the job. Designed for the balancing consultant who never knows what balancing challenges he may be called upon to handle. 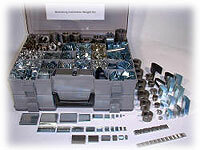 Specialty weights, such as stainless steel, stick-on, or extra wide foil clips can be added to the kit as needed. 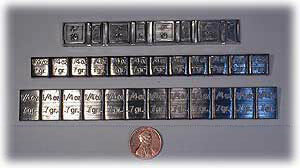 All of the balancing weights can be ordered individually in the sizes and quantities required. Balancing Weight Kits: The Balancing Accessory Starter Kit (BASK) and the Balancing Kit Pro (BK-PRO) were designed for the balancing consultants who never know what balancing challenges they may be called upon to perform. Squirrel Cage: Our squirrel cage clips have a slight curve designed for balancing fans with forward curved blades. 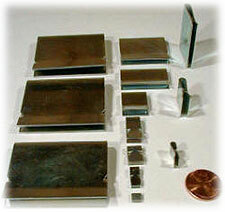 Adhesive Backed Weights: Adhesive backed lead balance weights for sheaves. 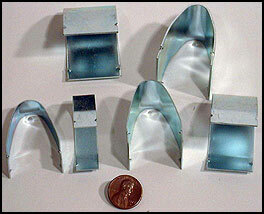 Backward Incline Clips: These clips are flat and are designed for flat bladed fans such as backward inclined fans. 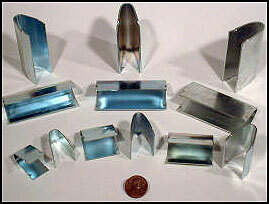 Accessories: Mr. Shims offer a number of accessories as well as trial weights to make your balancing job easier. C-Clamp Weights: C-Clamp weights are used as correction weights for various fans and come in steel or stainless. Mr. Shims also has a line of c-clamp weights for harsh environment uses. Air Foil Balancing Clips: Air foil clips are used on blowers manufactured by companies such as Trane, Carrier, Twin City, New York and Chicago Blowers. 0.5-14.0g wts./ 10ea of 28.0 - 56.0g wts. These adhesive balancing weights come in strips of blocks that can be broken apart to achieve the final correction weight. Each block is stamped with its weight. Sheaves should be balanced to compensate for the sloppy run out tolerances allowed by most manufactures. In some cases an inaccessible fan can be balanced on the sheave. These Balancing Clips are made of 410 stainless steel and are packaged in packs of 25. If you have ever lost a balancing clip in a fan, then you know that the balancing clips installation and removal tool is an essential part of any balancing professional's tool kit. Replacement Balancing Weights may be purchased individually. See the table below. The Stainless Steel C-Clamps are made from 303 S.S. and are used as permanent correction weights on vane axial flow fans and squirrel cage fans. The Harsh Environment Balancing C-Clamps have set screws on both sides. One side is tightened until the fan blade is locked in by the set screw points on one side by the serrated surface on the other side. The second set of scrwes are then tightened, which effectively causes them to dig in the fan blade, further securing the weight. These clips have a 3/4" opening or throat size. The clips average 1.1" depth. These clips have a 1.1" opening or throat size. 0.550 inches and a depth of 0.9 inches.